Here is a list of foods that you should stop eating immediately. They have been found to contribute to cancer, and otherwise wreak havoc on your health. We’ve provided alternatives so that you can still eat these foods, but in a healthy way. 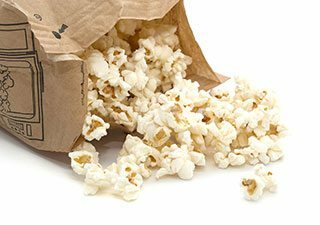 If you enjoy finishing off a day by curling up and watching a movie with a bag of freshly nuked popcorn, it may be time to upgrade your night by going with a healthier popcorn option. It’s easy enough to enjoy the taste of popcorn without the cancer risk by popping your own at home in ghee or coconut oil. This is actually a healthy snack as long as you’re using organic popcorn kernels. Avoid buying it at the movie theaters because the buttering agent they use is highly questionable, and could also be another cancer-former. Cancer-Causing Agent: Perfluorooctanoic acid is created during the microwave process from substances found on the inside of the bags. Touted as a healthy go-anywhere protein-packed snack, most commercially produced beef jerky contains nitrites that have been proven to contribute to cancer. Nitrites are found in other foods, but beef jerky has much more of them per ounce than many other foods. 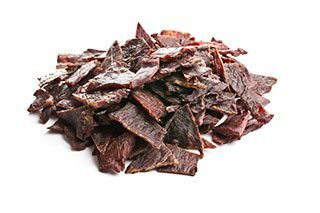 When you want the convenience of beef jerky without the cancer risk you can make your own at home using organic, grass-fed ground beef rolled out thin using a rolling pin, and baked in the oven for hours at the lowest temperature. Cancer-Causing Agent: Nitrites in beef jerky have been linked to cancer, and they are added to give the jerky its color and also to preserve it and keep it fresh for months as it sits on store shelves. There’s a big debate over whether there’s enough BPAs in canned foods to cause cancer, and whether or not they’re transferred to the food the cans contain. Each side of the debate can produce studies that prove their case, so it’s hard to know which way to lean. One way to sidestep the debate is to simply eat fresh or frozen food, or buy food in cans that specifically state that they are BPA-free. When there’s a controversy this big you can bet that it’s between advocates that rallying for consumer protection and Big Food that wants to maintain the status quo and their profit margins. Cancer-Causing Agent: Bisphenol-A (BPA) is the cancer-causing culprit here. The arms race is on when it comes to spraying crops with herbicides and pesticides, and these days many seeds have these toxic chemicals built right into them. This means that conventional produce is going to have these chemicals in it as an inherent substance, one that you can’t simply rinse off before eating. Look for foods that are 100% organic, or contain the “Non-GMO Project Verified” seal on it to be sure that the food you’re getting is free of GMOs. Why get involved in the debate over the harmful effects of GMOs when you can simply avoid them and not worry about it anymore? Cancer-Causing Agent: Herbicides and pesticides that have been shown to cause cancer, among other diseases, are in GMO food from conventional produce to packaged goods. Before you enjoy that refreshing cola you may want to stop to consider what’s in it. In order to give it the distinctive brown color that shoppers have come to expect, cola manufacturers have been adding in a dye that contains a chemical that’s been found to cause cancer. There’s also High Fructose Corn Syrup which will help feed any cancer cells you currently have. It’s best not to wait around for the food industry to find a replacement for this dye, now that consumers are on to them. Avoid drinking cola and as an added you should see a drop in your weight thanks to no more High Fructose Corn Syrup and spikes to your blood sugar levels. Cancer-Causing Agent: 4-MI (4-methylimidazole) is what gives cola its classic caramel color, and is also directly linked to cancer in thousands of individual cases. The sad part about buying diet foods is that they often don’t help you lose weight, and could additionally be contributing to the likelihood of cancer. Obesity increases the chance of getting cancer, so it almost seems like you’re caught between a rock and a hard place when it comes to losing weight in a healthy way. Many diet foods use artificial sweeteners to provide you the taste you’re looking for without having an effect on the number of sugar grams and calories. These artificial sweeteners are chemicals that have been created in a lab and have a toxic effect on the body. Cancer-Causing Agent: Aspartame. the most widely used artificial sweetener, has been linked to cancer for years, despite the FDA and other groups citing clinical trials that say there isn’t enough clear evidence to pull the toxin from the food supply. Walk down any snack aisle in any grocery store and you’ll be bombarded by an array of snacks, each one packaged to look absolutely delicious, and each contributing to the formation of cancer. The problem occurs during the frying process, and since these are pre-packaged snacks consumers often lose sight of the fact that they’ve been deep fried, much like french fries. The deep frying process that browns the snack and makes it crisp is the same process that forms cancer-causing substances that stay with the food. 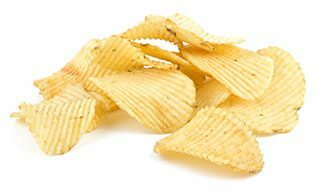 Cancer-Causing Agent: Glycidamide created by the metabolizing of Acrylamide, a substance produced from frying foods at high temperatures, is theorized as the cancer-causer for many snacks sold in stores today. How to fight against environmentally dog ​​urine? This Amazing Recipe Sheds 10 cm. From Your Waist In Just 10 Days!